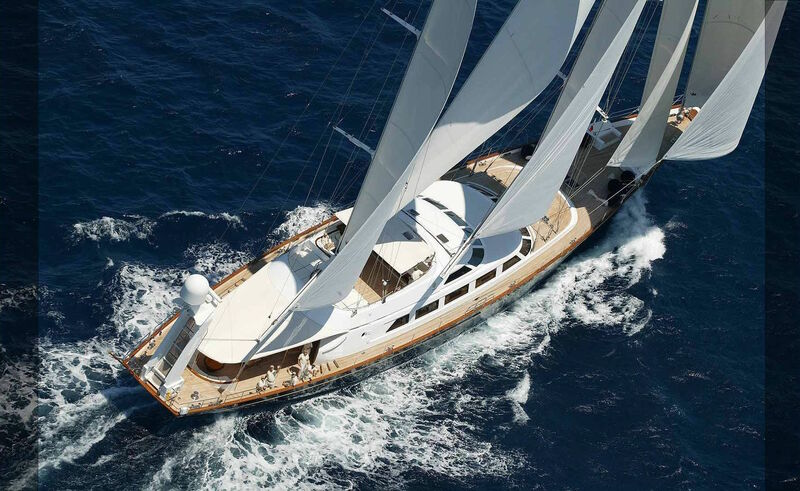 Luxury Perini Navi sailing yacht ELLEN (ex Ellen V, Lady Lauren and Thetis) is 40,40m (132' 6") in length and was launched in 2001. 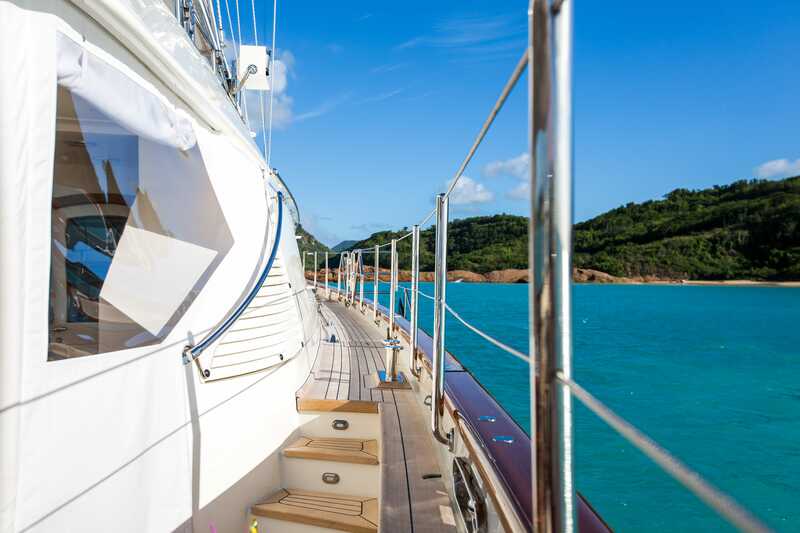 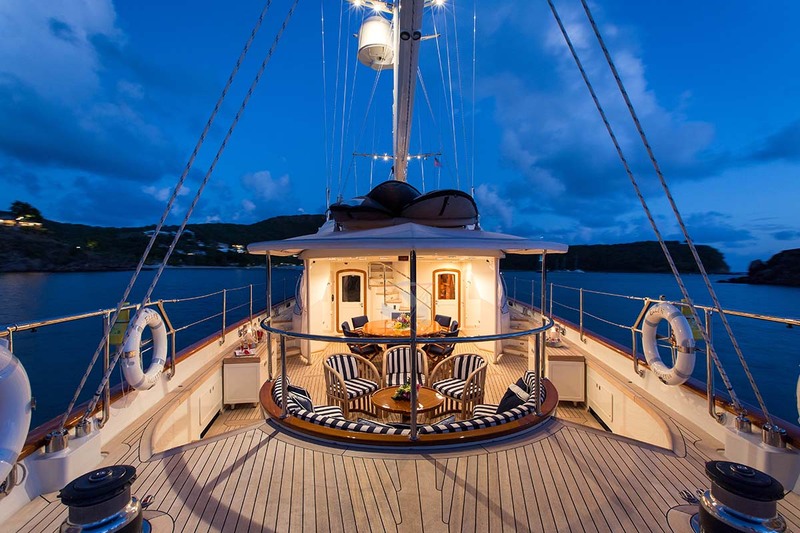 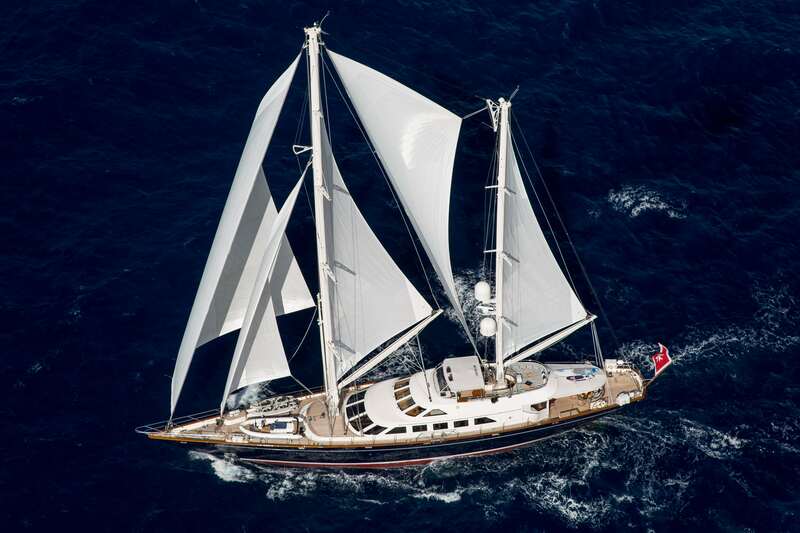 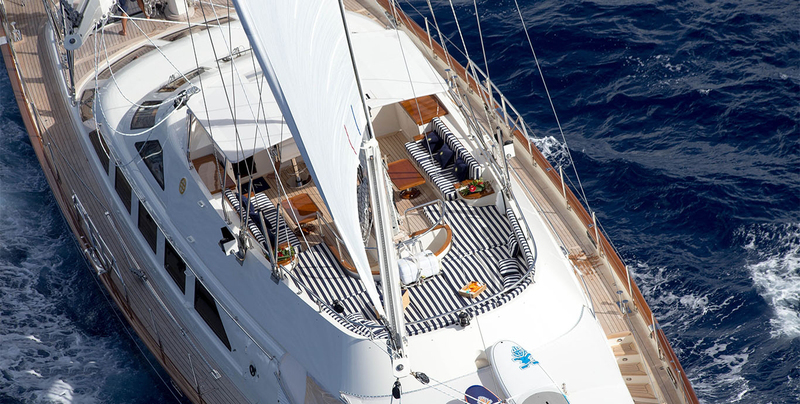 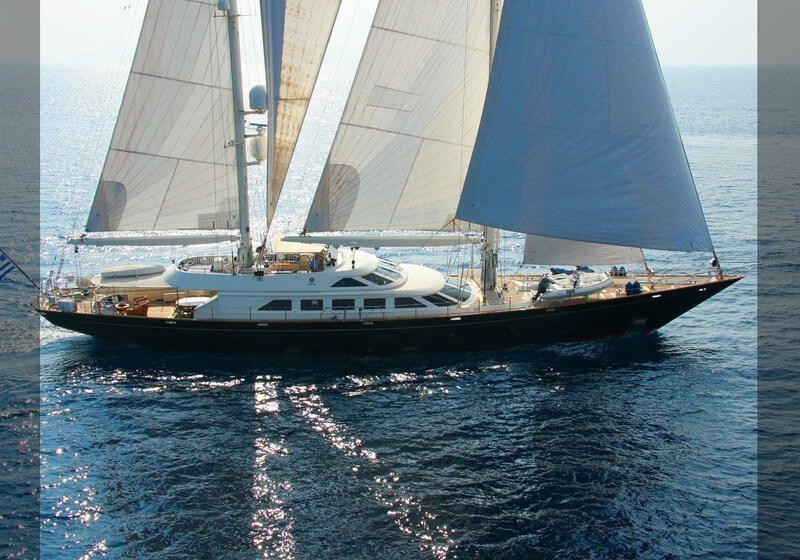 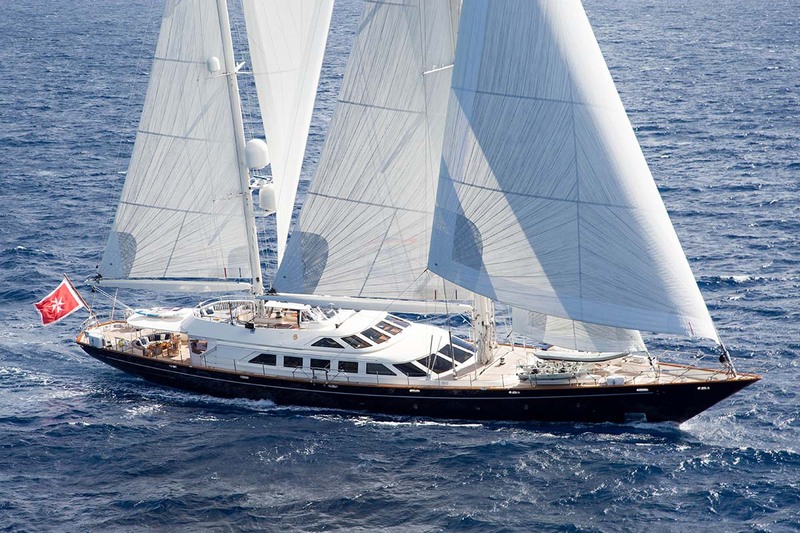 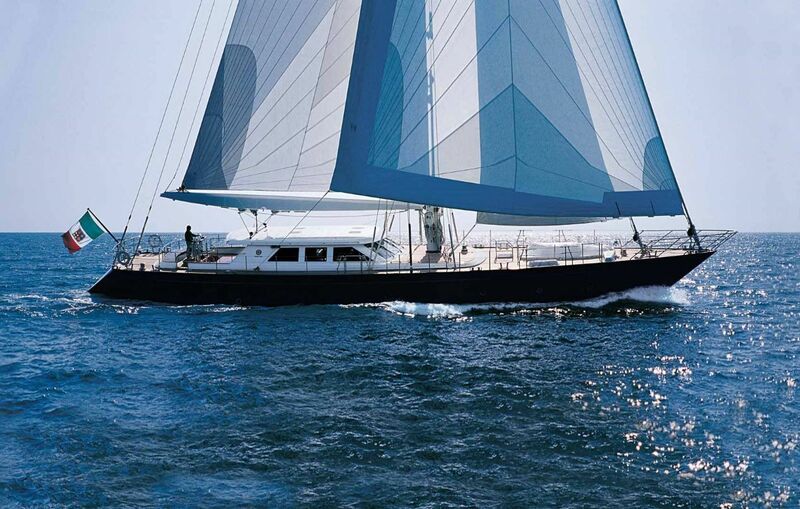 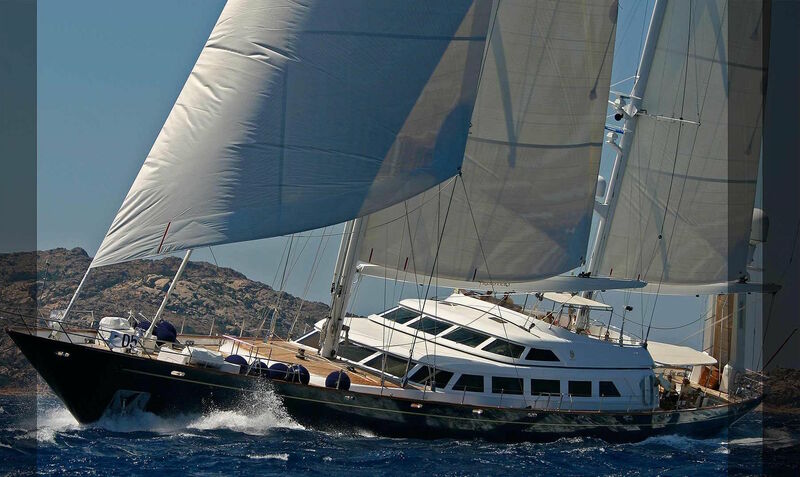 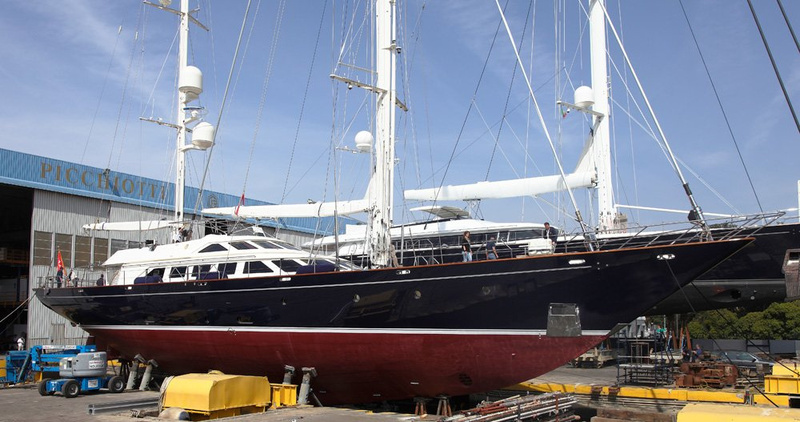 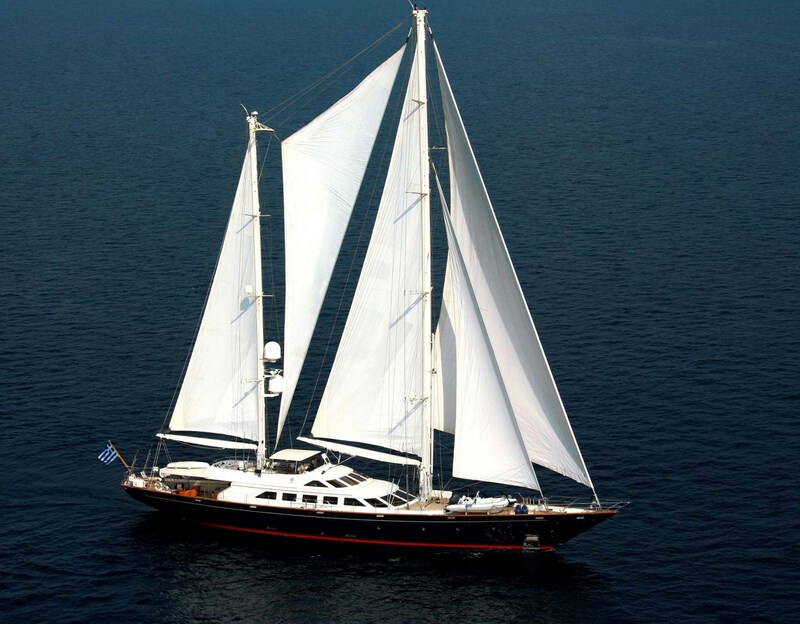 This yacht has superb quality typical of a Perini Navi combining comfort and elegance. 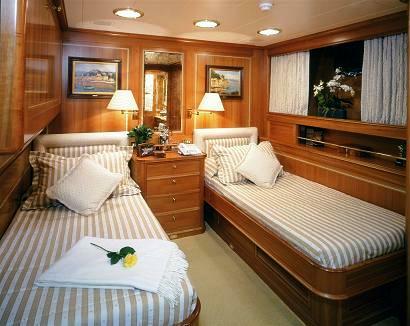 She has accommodation for eight guests in 4 staterooms and an energetic and experienced crew of 6. 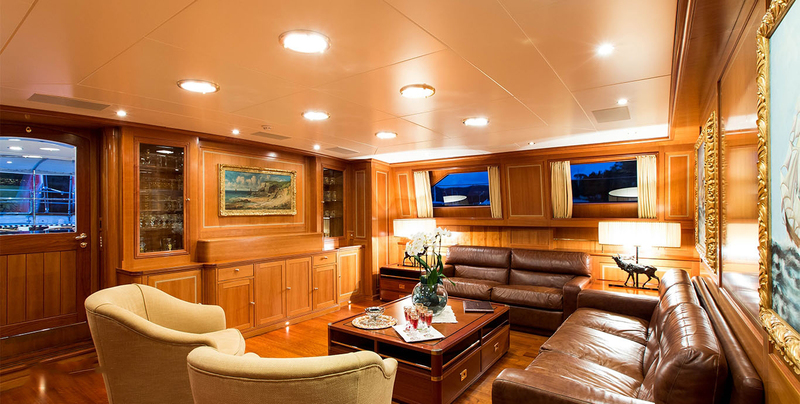 ELLEN received an interior and exterior refit in 2015. 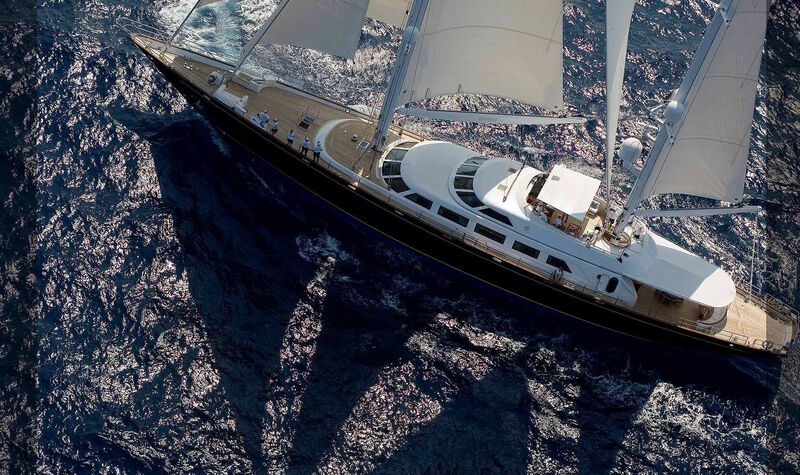 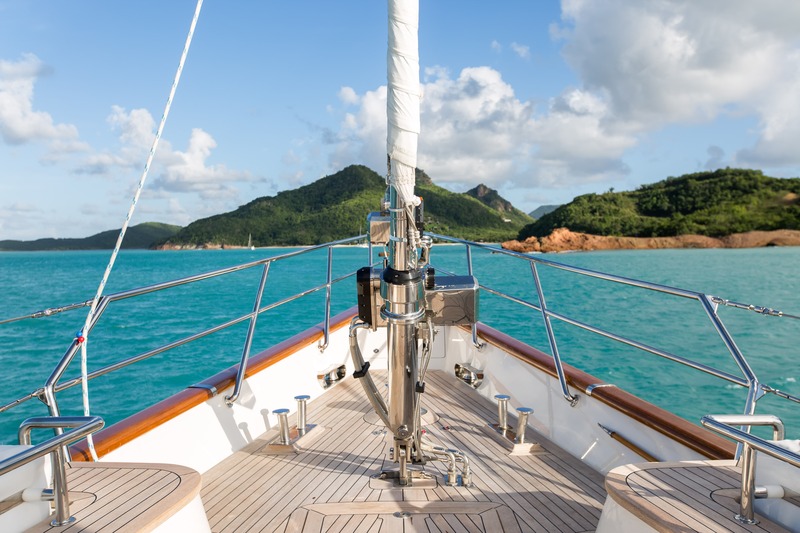 The exterior form is in the style of the typical Perini Navi yachts of the 1990s, which is more tradition-bound, with a classic aft-raking transom, elongated flying bridge sundeck, and raised wheelhouse. 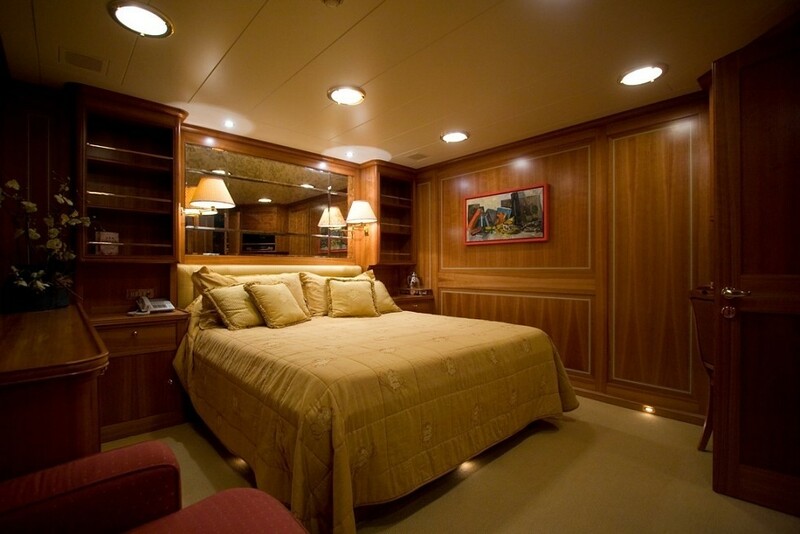 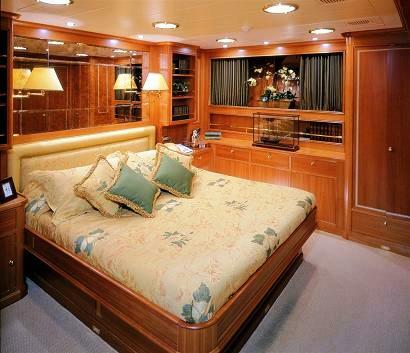 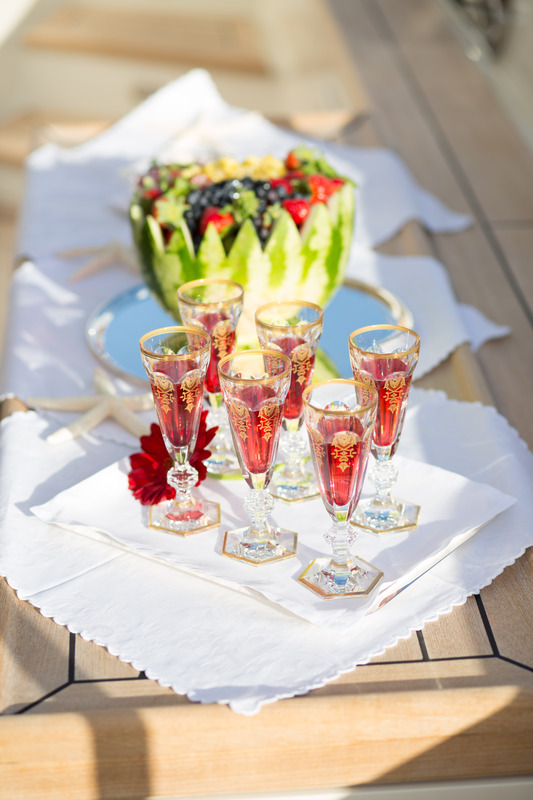 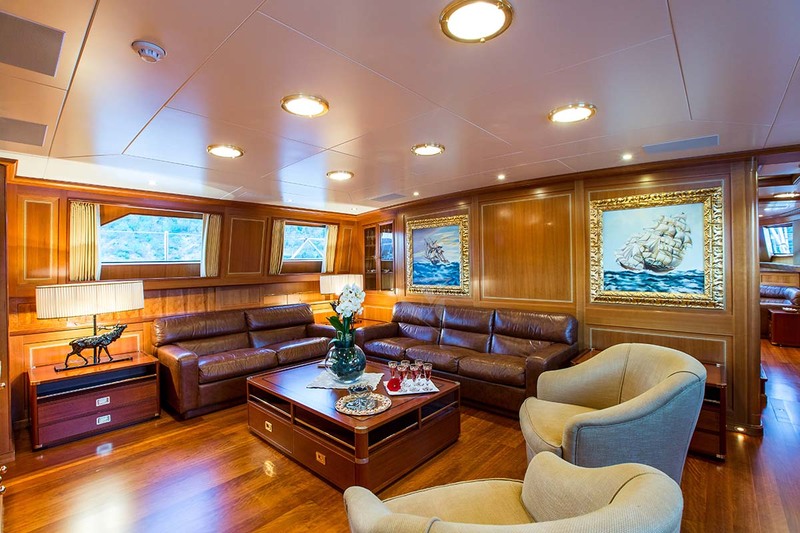 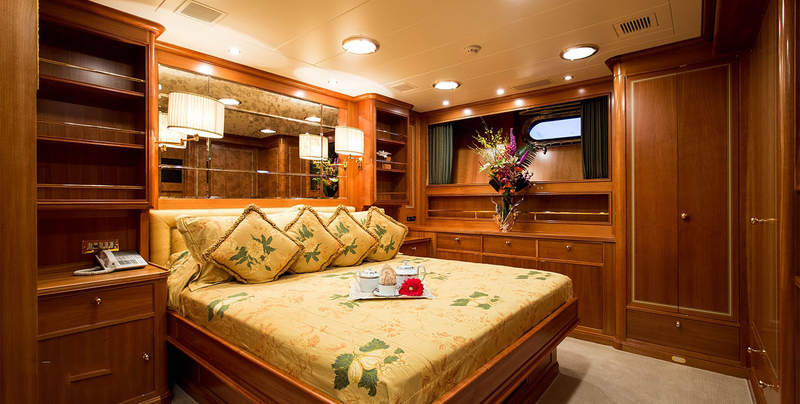 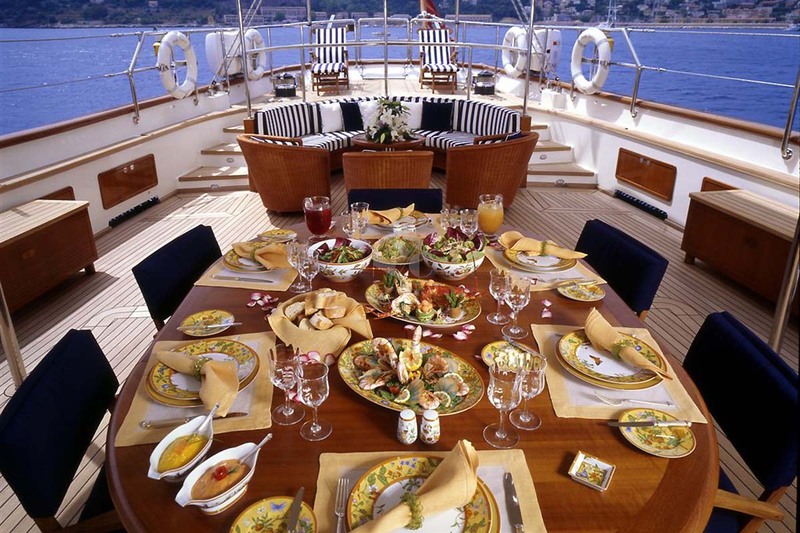 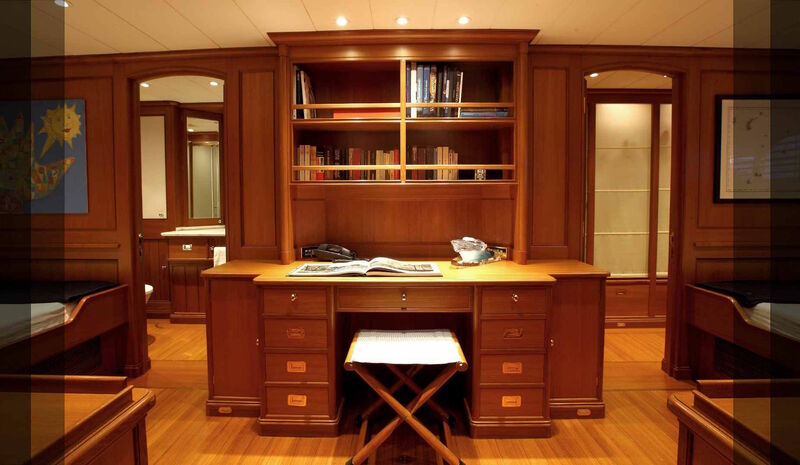 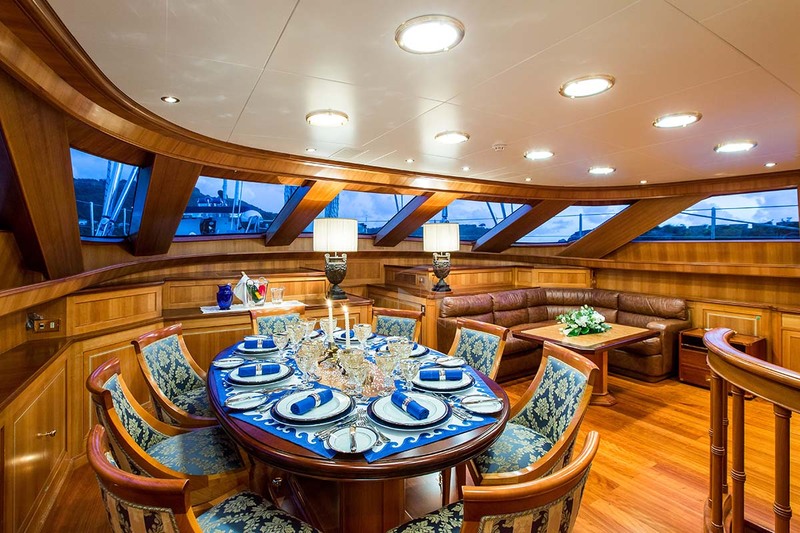 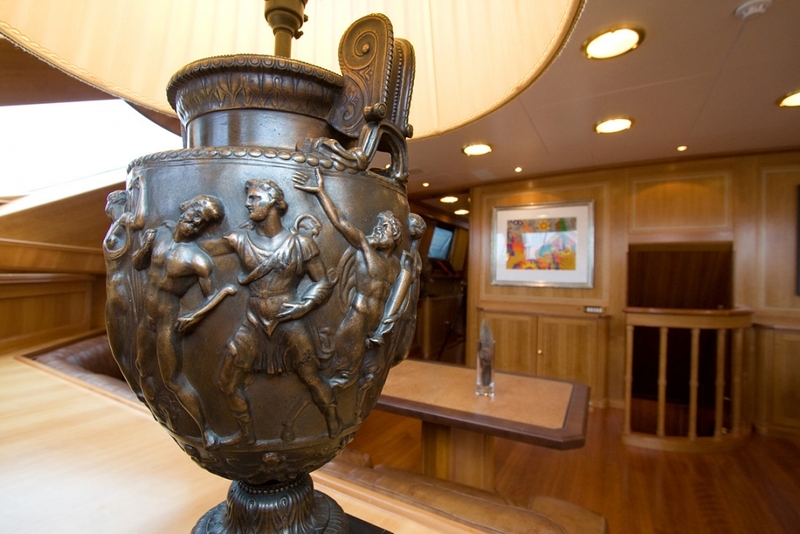 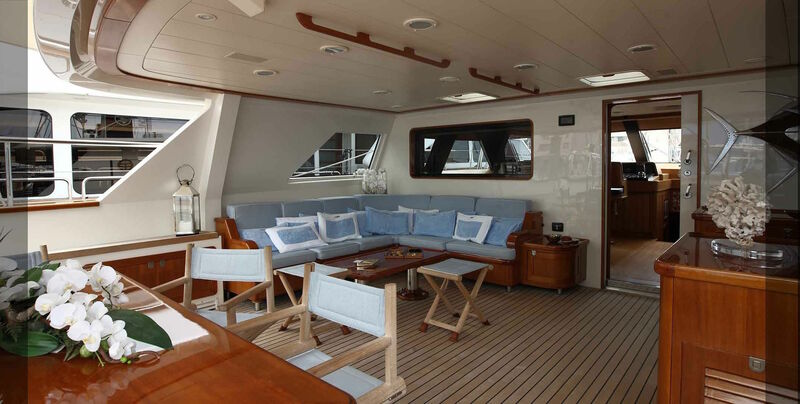 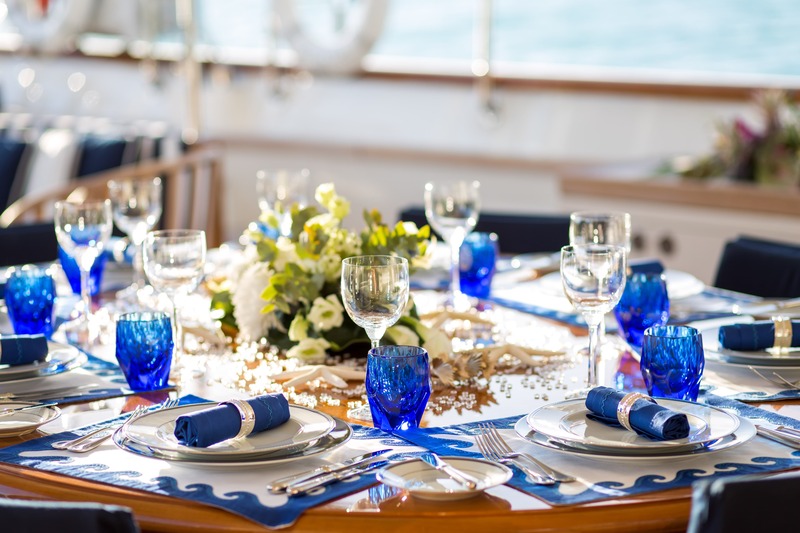 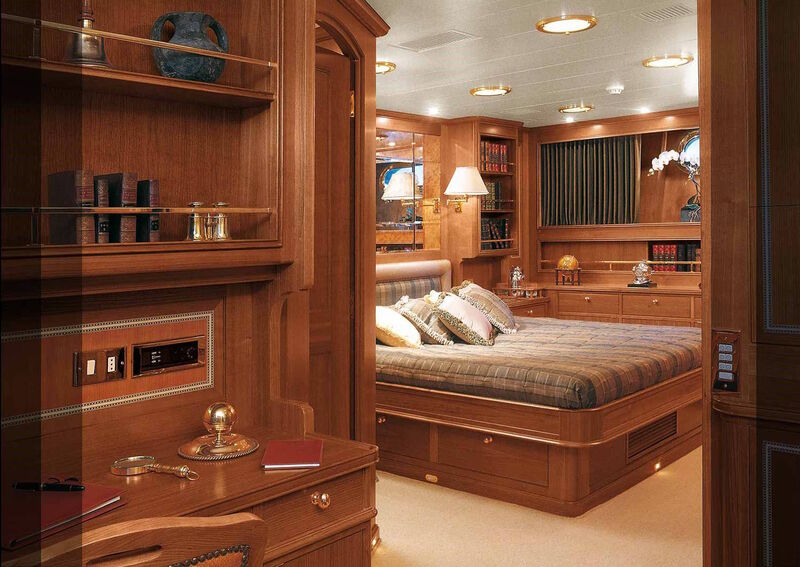 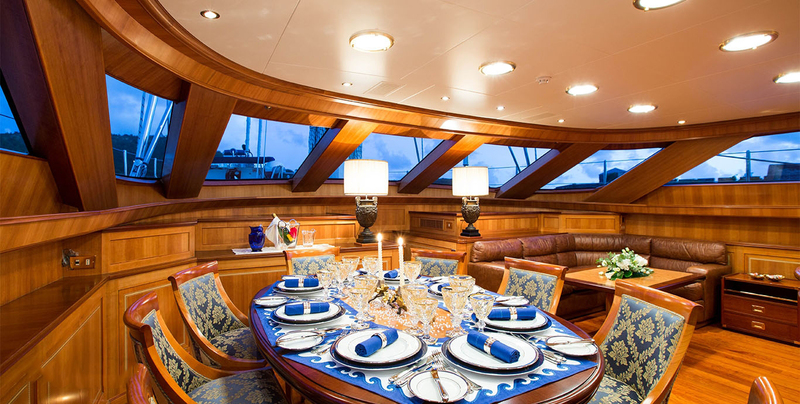 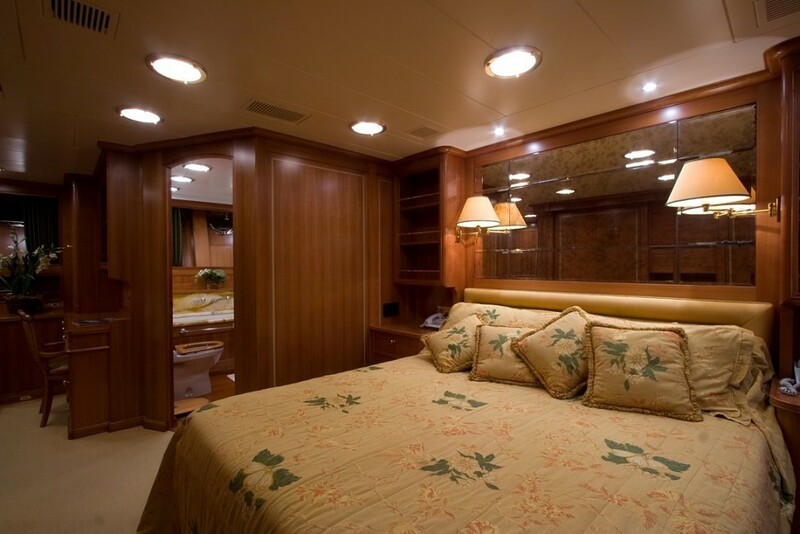 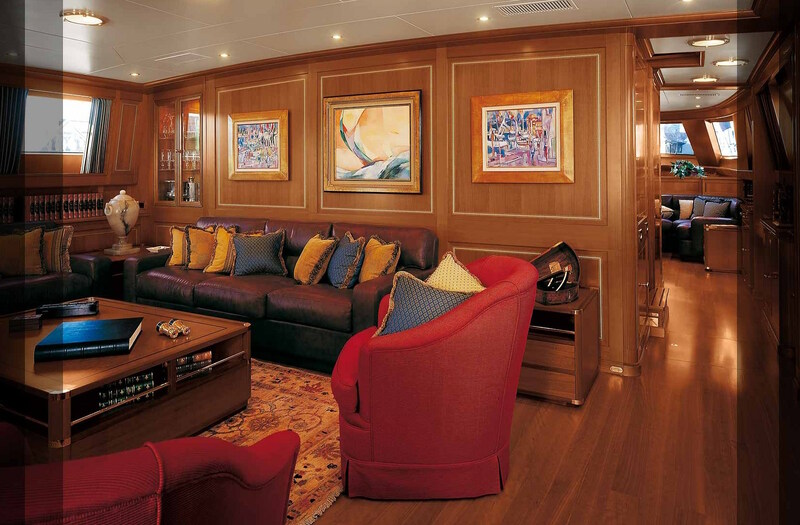 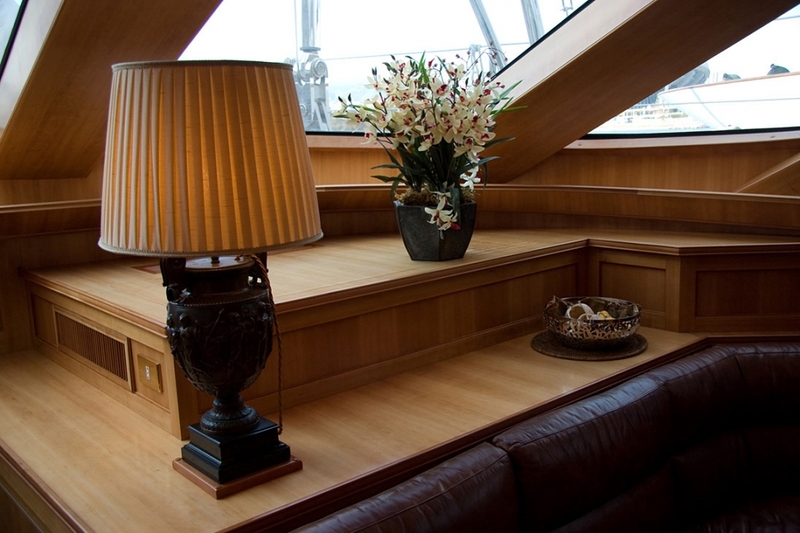 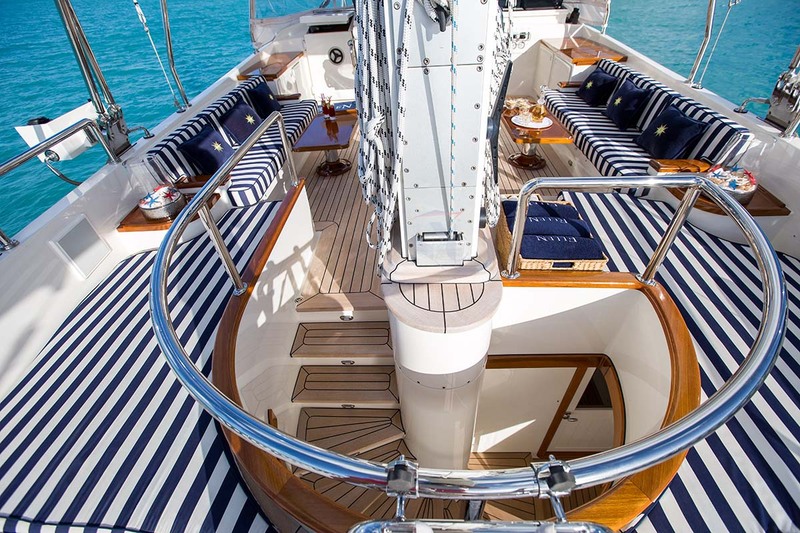 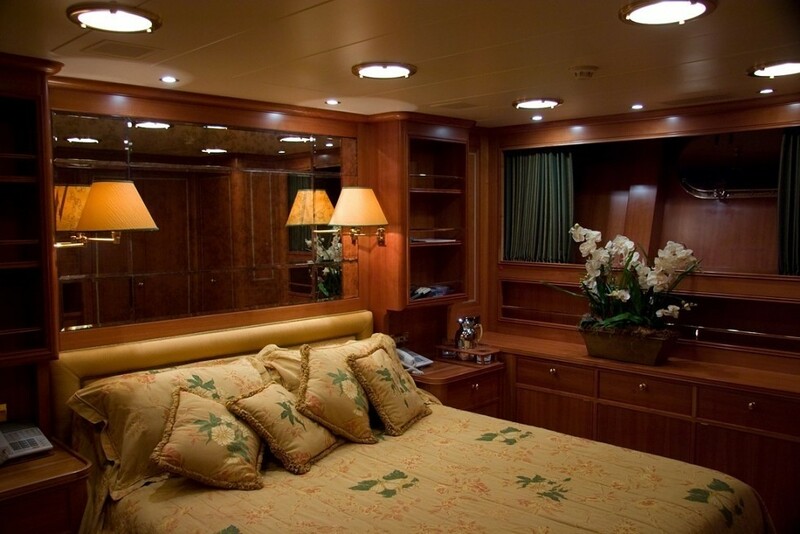 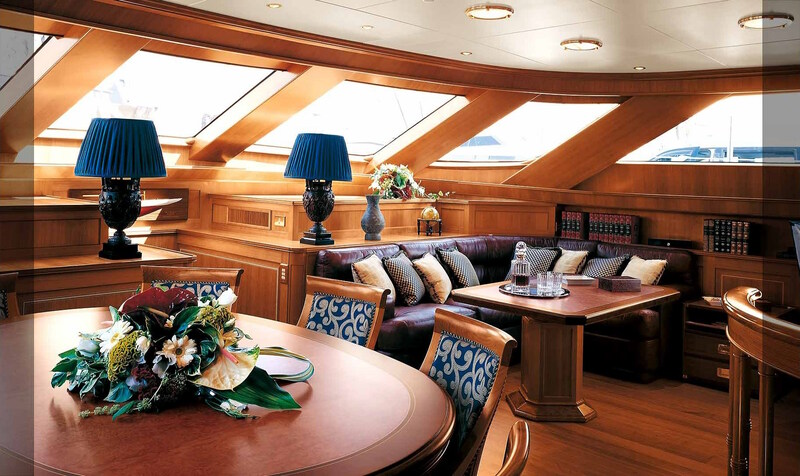 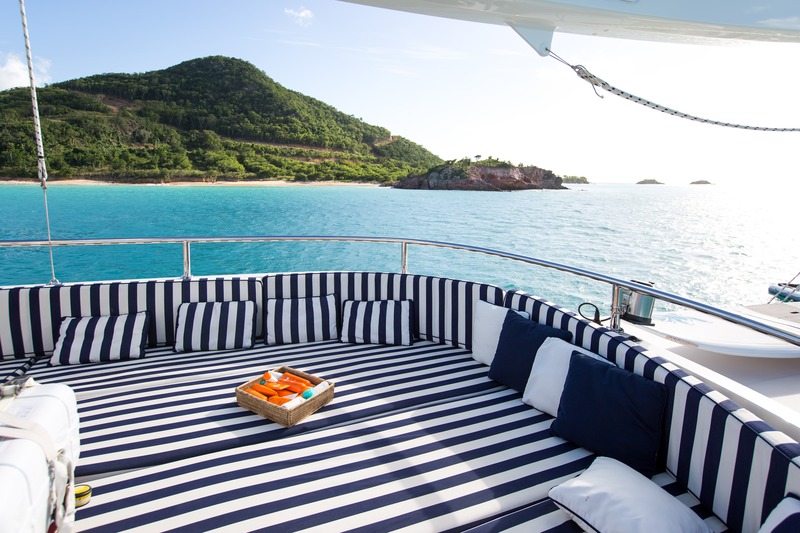 Her interior decor features cherry wood joinery, which has become increasingly popular among yacht charter clients. 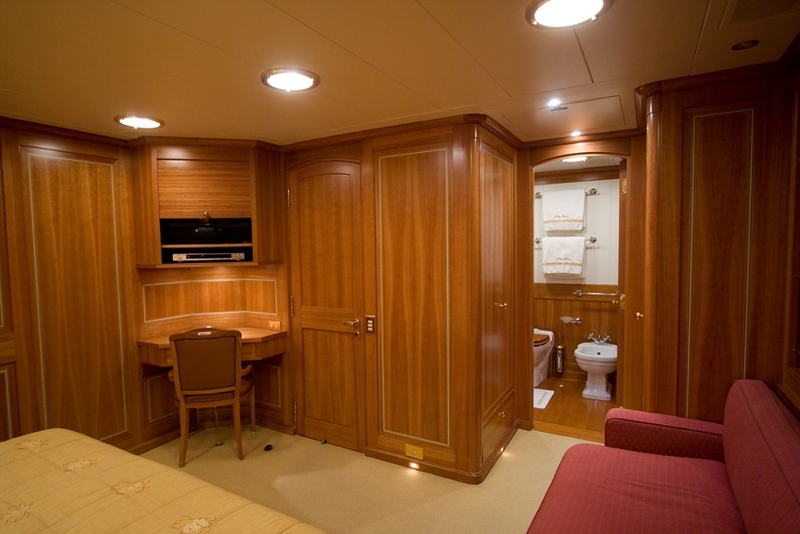 A large deck locker has been substituted for the second entry to the saloon, and a small watch cabin that adjoins the wheelhouse. 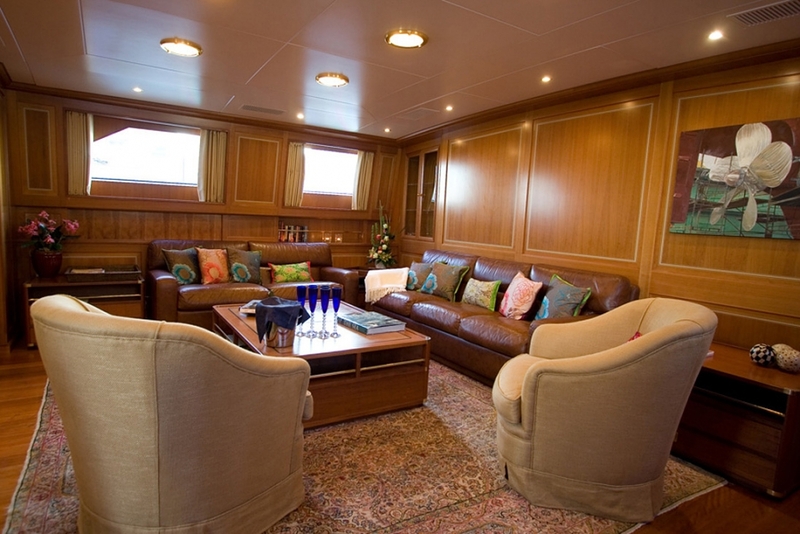 There is plenty of comfortable seating the salon which is the perfect spot to relax. 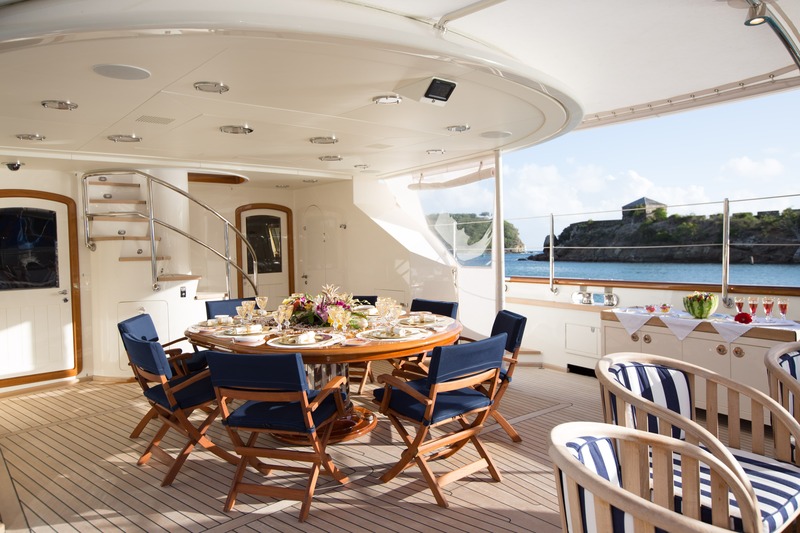 Dining is possible in the beautiful interior dining area or can be enjoyed outdoors on the deck, adjacent to the wonderful sunbathing area. 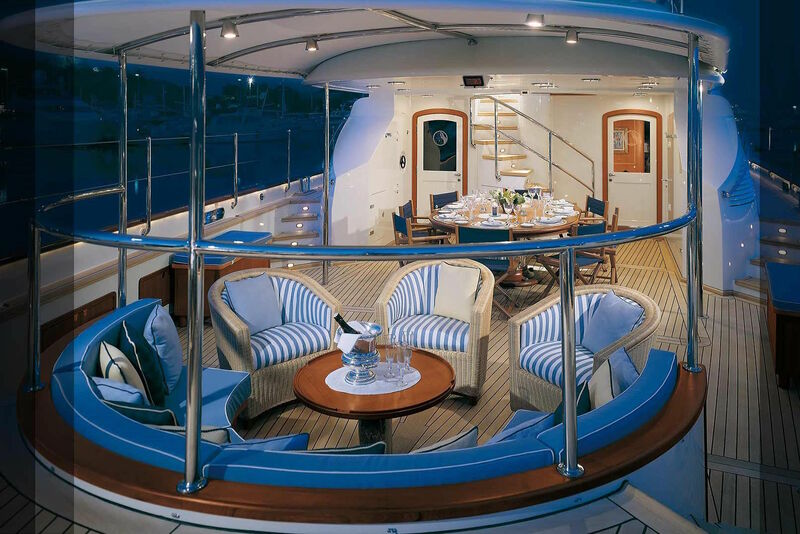 On the upper deck there is a fly bridge, and on the aft section, there is a large sunbathing area. 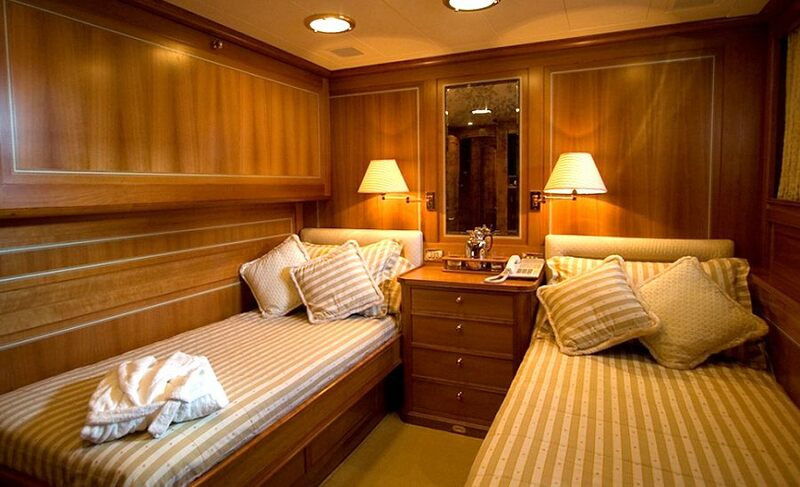 The luxurious accommodation for 8 guests include a full beam owners' suite with King bed and sitting room, ensuite head with tub and shower, a queen bedded VIP cabin and a twin guest cabin located aft and an extra children's cabin forward with upper and lower bunks, which adjoins the crew quarters and captain's cabin. 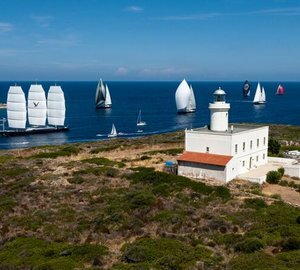 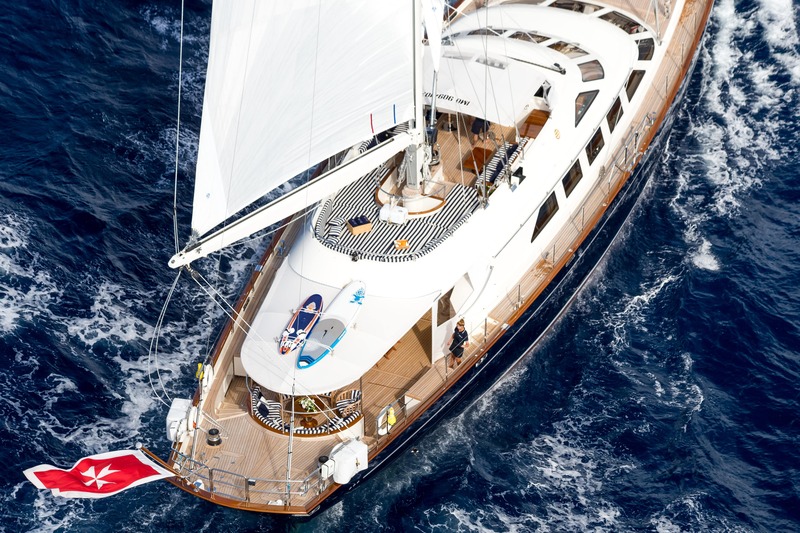 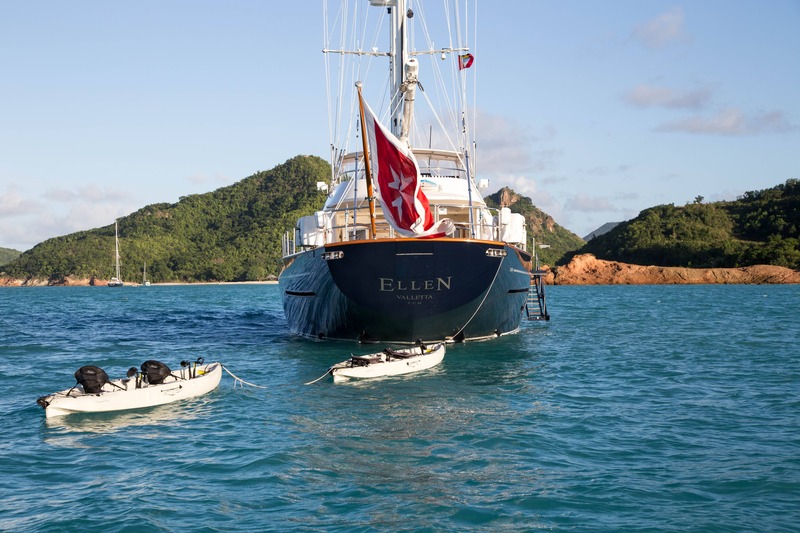 ELLEN is equipped with servo-assisted sail control, twin-screw propulsion, retracting centreboard, Perini spars, furling systems, and captive reel winches as well as an impeccable steel and aluminium construction. 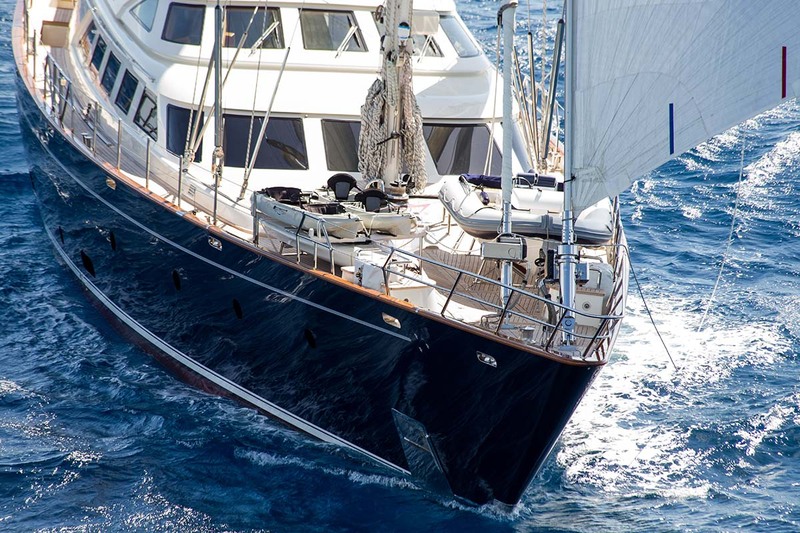 She was built to meet the highest classification standards and has her MCA certificate. 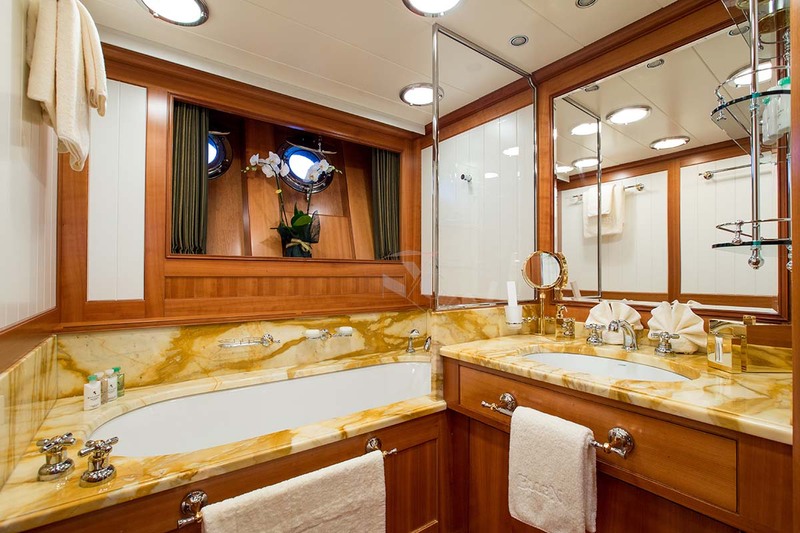 The 2015 service and refit included newly restored classical interior, new paint coatings and exterior cosmetic upgrades throughout, mechanical and electrical system check out. 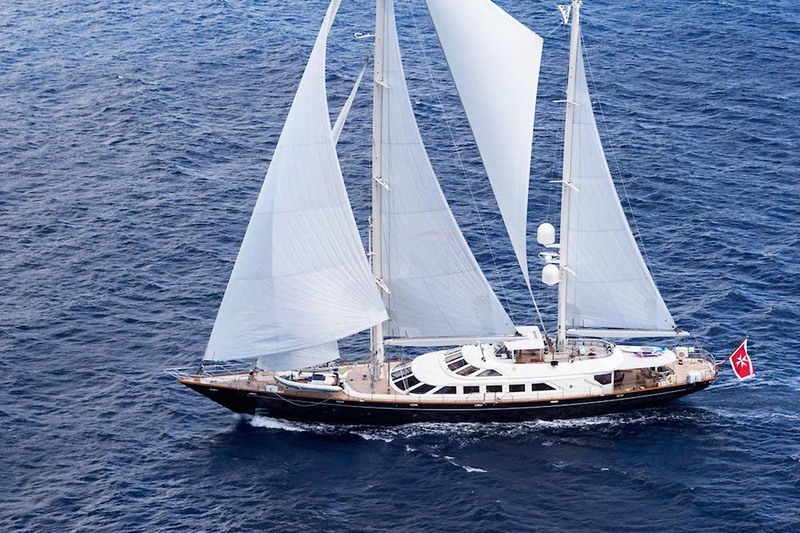 Luxury Perini Navi sailing yacht ELLEN can accommodate eight guests in four cabins including a full Beam Master stateroom with King bed and sitting room, ensuite head with tub and shower. 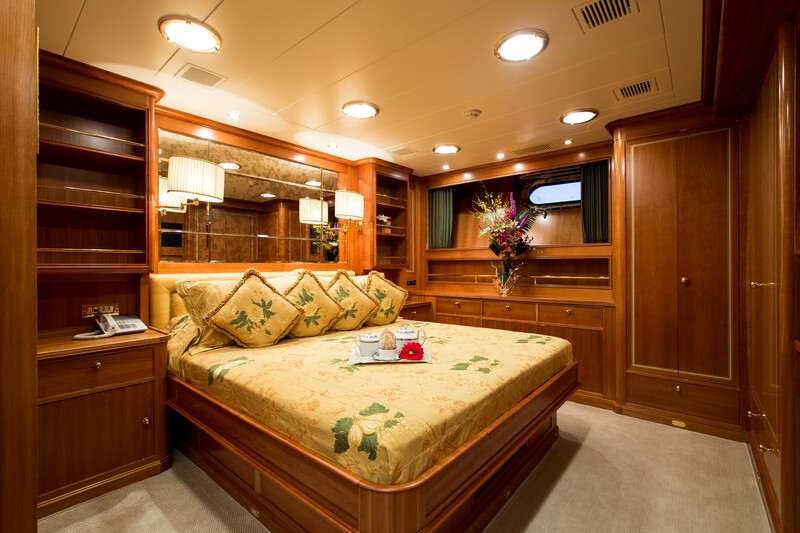 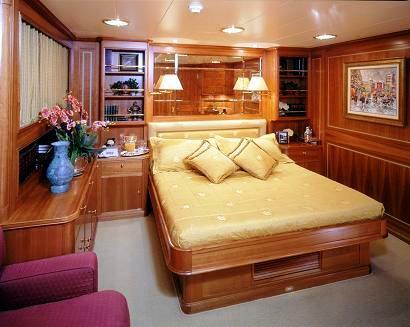 A Queen bedded guest suite with ensuite head plus a twin bedded guest suite all located aft. 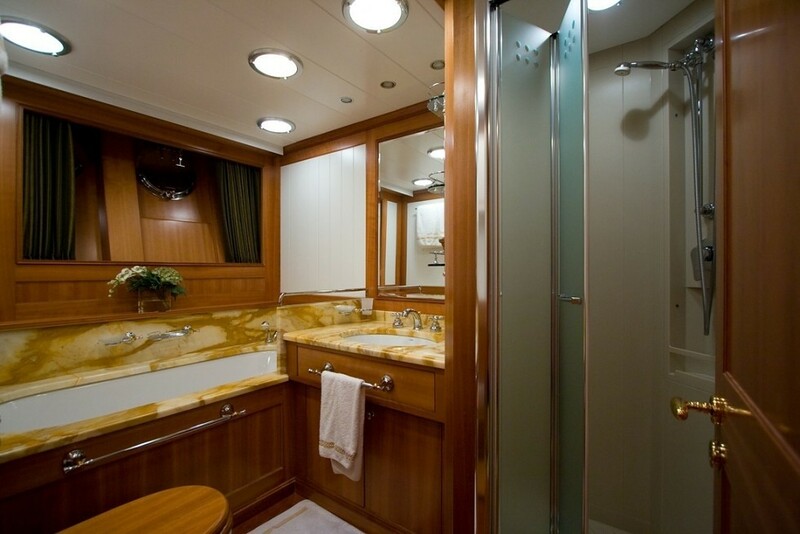 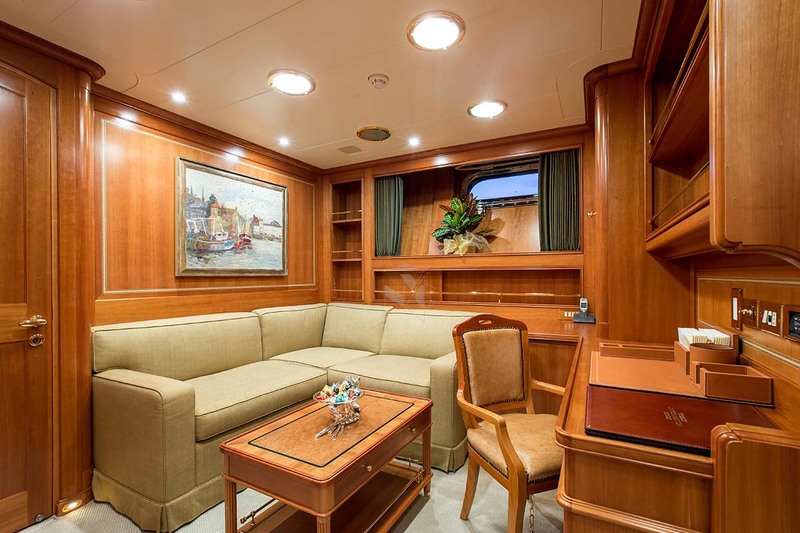 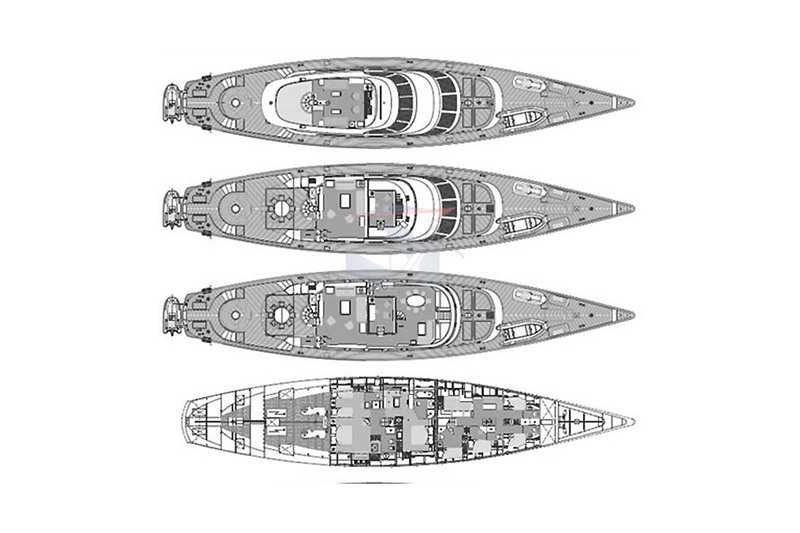 Forward of the dining salon is the 4th cabin with upper and lower berths with ensuite head and shower that may be ideal for teenagers or a nanny. 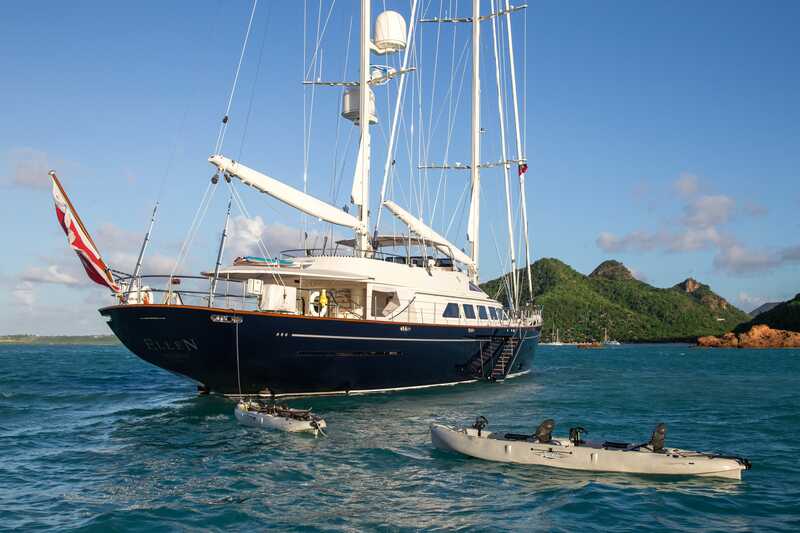 Ellen has an array of extras, tenders and toys onboard including a 4.6 m Novurania with 80hp, a Yahama XL 800 waverunner, 4 full sets diving gear for Certified Divers only, a Laser (Pico), Water skis and a Wake board. 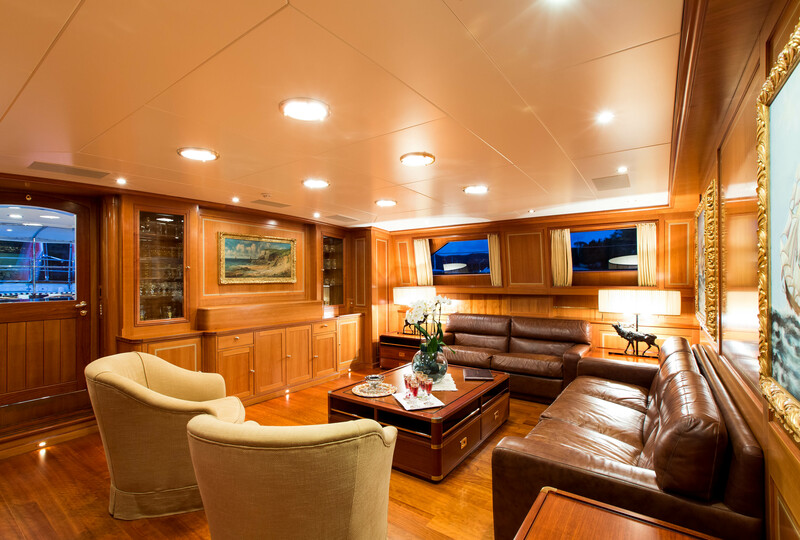 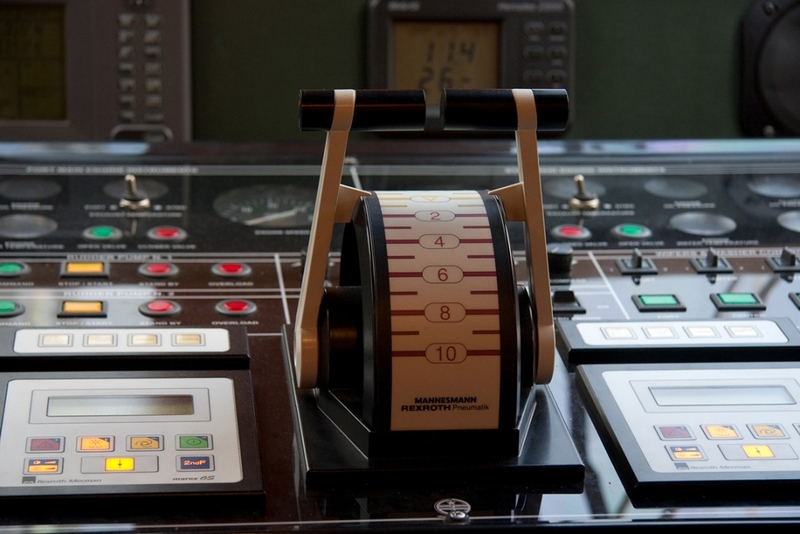 Communications include Sat Com, email and a GSM phone.